With Amazon Kindle apps already available to major platforms – PC, Mac, iPhone, iPad and BlackBerry, the only one left for now is an Android app. 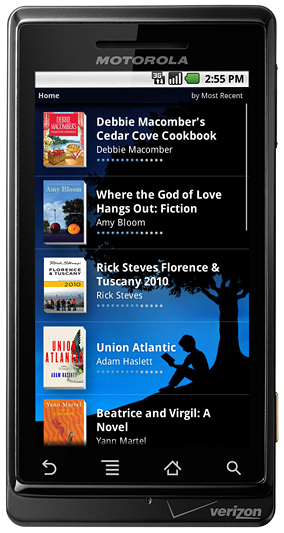 Well, Android fans, your wait will soon be over as Amazon is launching its Kindle App for Android phones. In fact, it’s already slated for a summer release. Guess what’s so different about the Kindle App for Android? Something which the iPhone, iPad and BlackBerry apps won’t let you do. Yes, you guess it right, the app will let you buy books directly right in the app itself. Other Kindle apps kicks you out of the app whenever you want to score an ebooks from the Kindle Bookstore. This is of course, over and above all the other great features that you’d love from other Kindle apps including access to your Kindle books even if you don’t have your Kindle with you, automatic synchronization of the last page you read and annotations between devices through Amazon’s Whispersync, text size adjustment, bookmarks, portrait or landscape reading and tap to flick through ebook pages. Kindle for App would certainly be a good addition to Android phones’ stable of useful apps. With the high-resolution display and large screens of most Android phones, ebook reading would certainly be a pleasure plus of course the convenience of buying ebooks you fancy right away.